We will show you the empire of the dolphins. 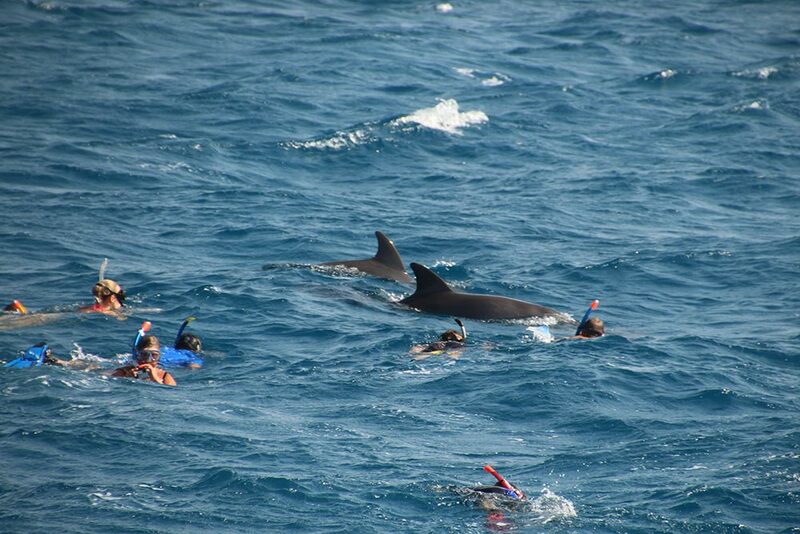 Our multi-day dolphin tours are organised professional and natural. We are no intermediary! 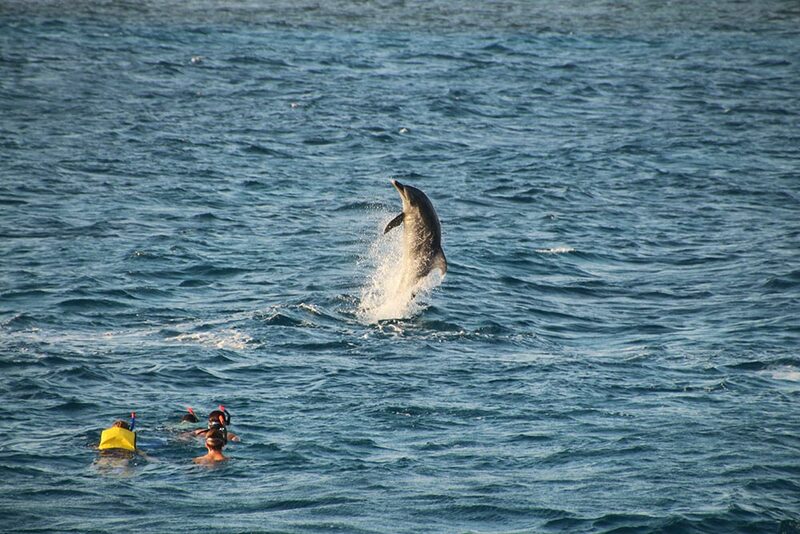 Our long-time experience with dolphins and the unforgetable encounters in free nature are one of the most important reasons to serve our guests perfectly and familial. 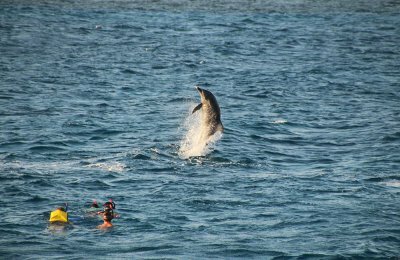 During the last years the dolphin tourism got into trouble because of mass tourism. 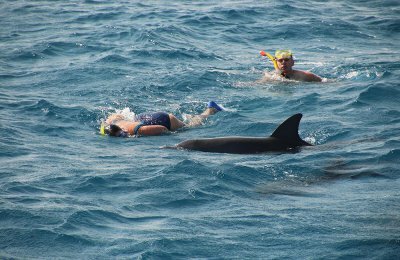 But we, as the first and experienced dolphin tour organisor, guarantee species-appropriate behaviour towards the dolphins. 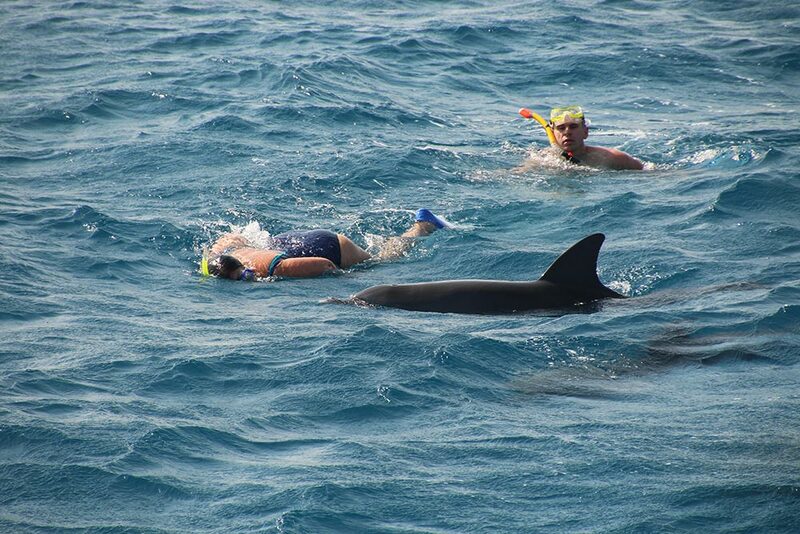 We also respect the dolphin protection rules in relation to approach between the boat and the dolphins. 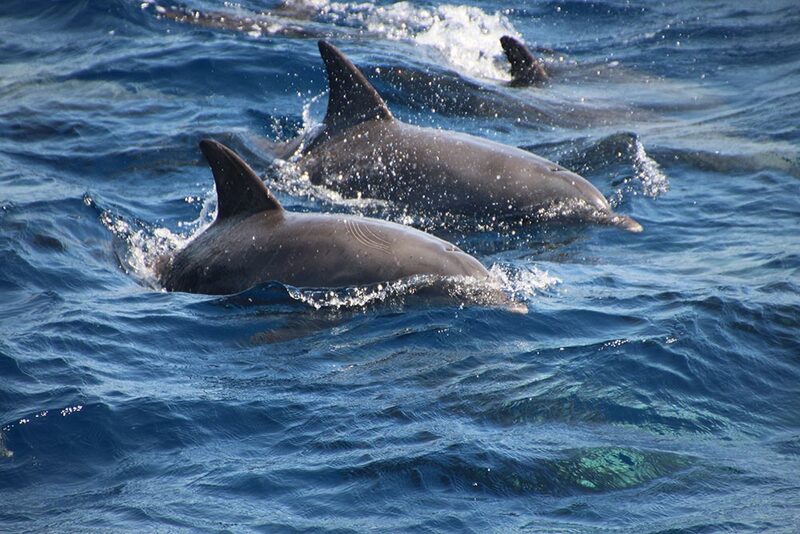 At your stay at our boat you will learn a lot about the empire of the dolphins and you will have a great time by sea. 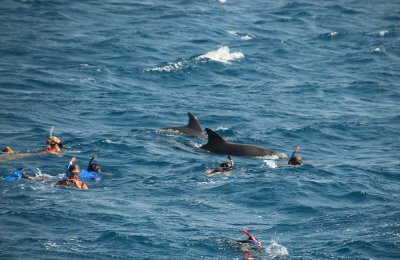 We will discuss about our adventures and talk about our unique marine mammals, that always put a smile on our face. Island stays, night snorkelling and much more awaits you on these overnight trips. 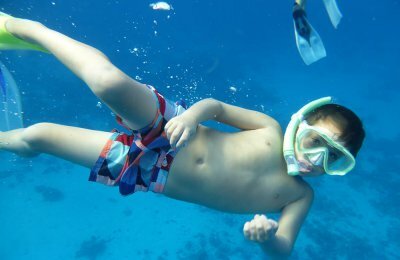 Swimming with dolphins in free nature, snorkeling or diving – the adventure will be special and unique. 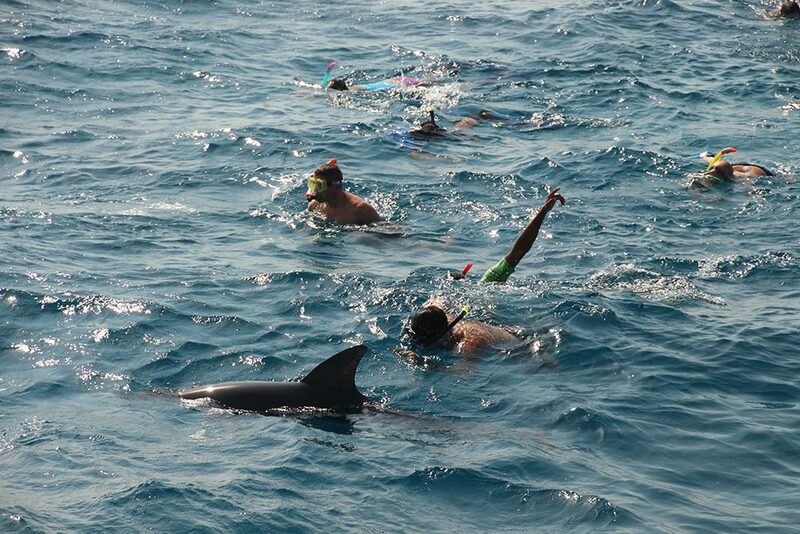 During these tours, our guests will enjoy passionate dolphin encounters! 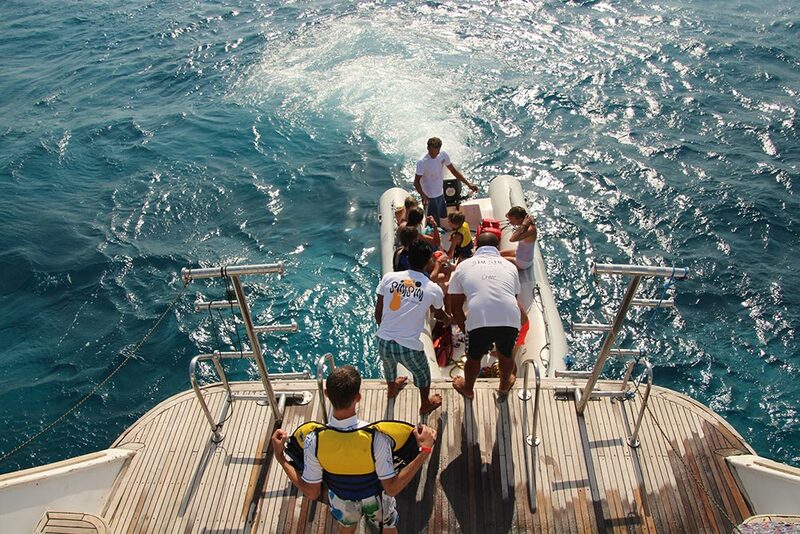 Our dolphin safari can take place at every time. Even short-term booking is possible. You can register your favorite dates under „DATES“ on our website. Through this way every guest can see, how many people have registered for which tour at which date. So, several interested people form a small group and the tour can take place. We will confirm you then. 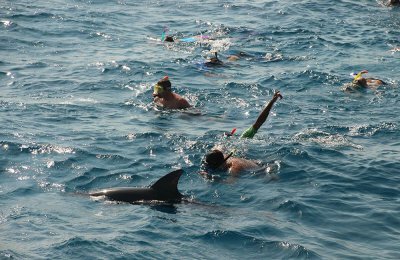 So: If you are interested in a dolphin safari, please register and write us an e-mail. We will enter your desired dates under „DATES“. The tail fin is moved by muscles which are located on both sides of the spine. The two strongest muscles are located at the upper side of the body. 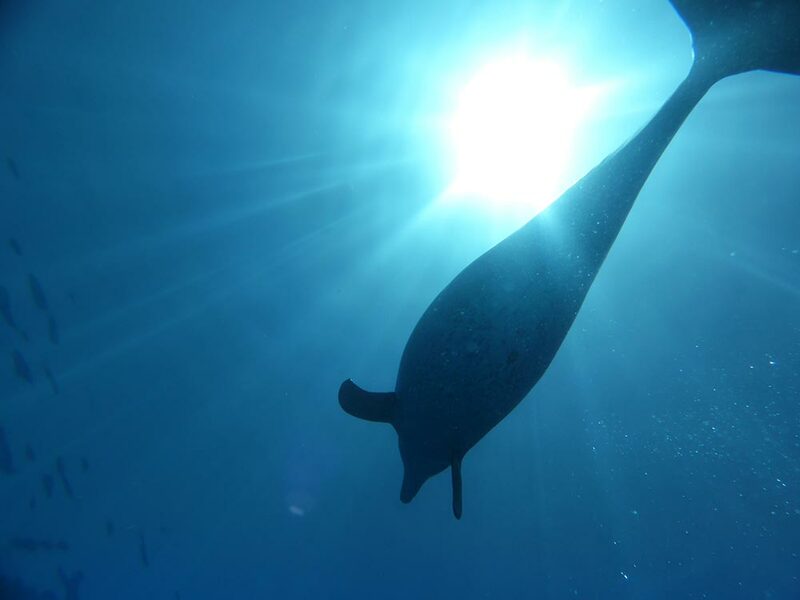 If the dolphin jumps out of the water, its whole force emanates from the fluke. The dolphins moves it up and down. 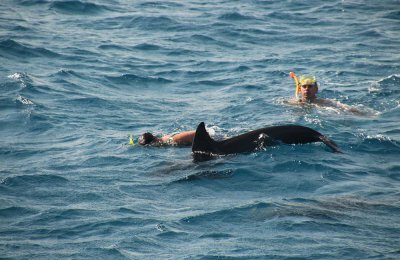 Porpoises can swim 5 times faster than the fastest human of the world. 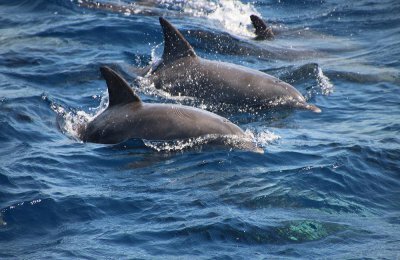 The skin of a dolphin is smoot and soft and can get easily hurt. The skin is 2 to 4 milimeter thick and can change its structure to suit to its living space. 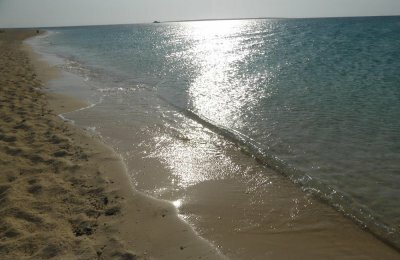 To swim faster, Numerous wrinkles and troughs cover the skin. The skin color is adapted to the habitat. 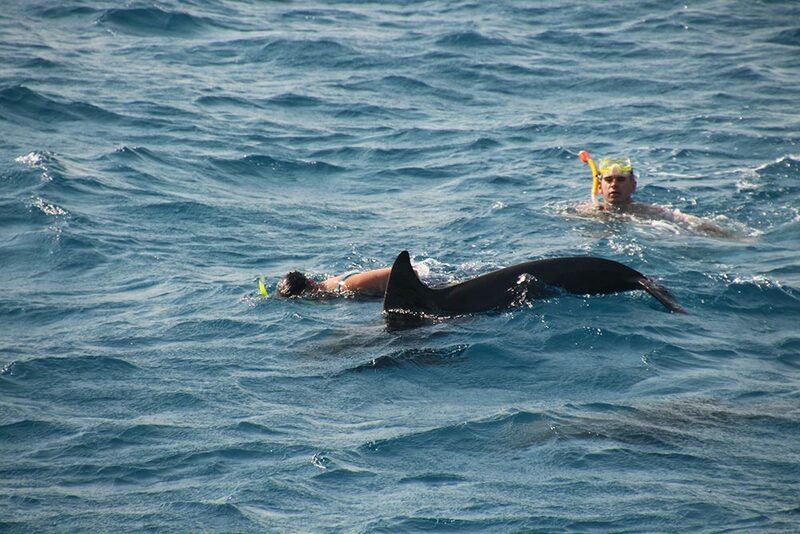 Dolphins usually have a dark back and a bright belly, so they are well camouflaged. 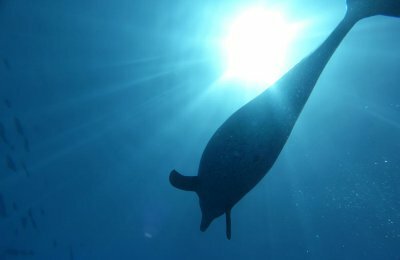 Porpoises have no sweat glands, they lose your warmth over your fins. 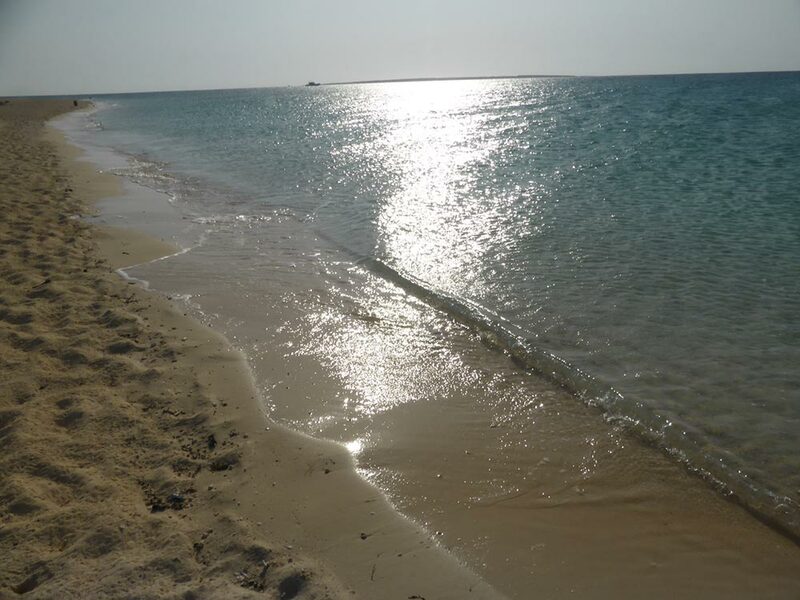 As a licensed diver, we drive our guests to the beautiful dive sites in the Red Sea. 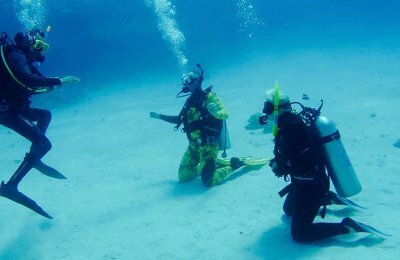 Just make another dive or extend your diving license, everything is possible and we will be there for you as a reliable and experienced host. Even for beginners, we have interesting offers in the program, take a taster course with us! 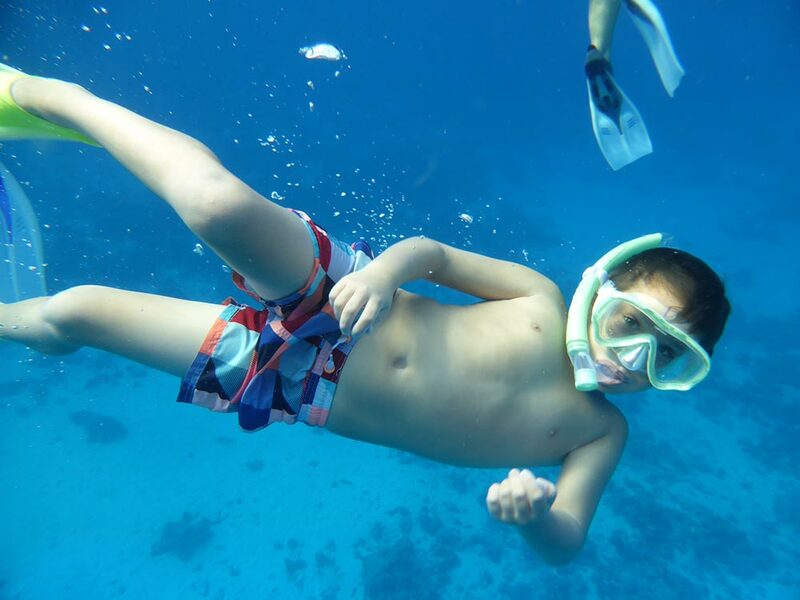 For example, 2 dives in shallow water, with a private instructor and enjoy the first few minutes under water! It will be a great experience for sure!